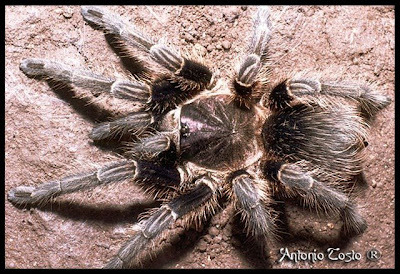 Dominican Spiders: Theraphosidae, Phormictopus sp. undetermined. I've found it in 1992 on the mountains at more than 500 mt. 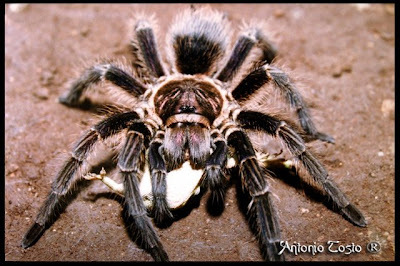 It's a quite docile Tarantula. second picture while eating an Anolis. ©2008-2014 Antonio Tosto. All photographs of this blog are property of Antonio Tosto. Unauthorized use and duplication, will be prosecuted to the fullest extent of the law.